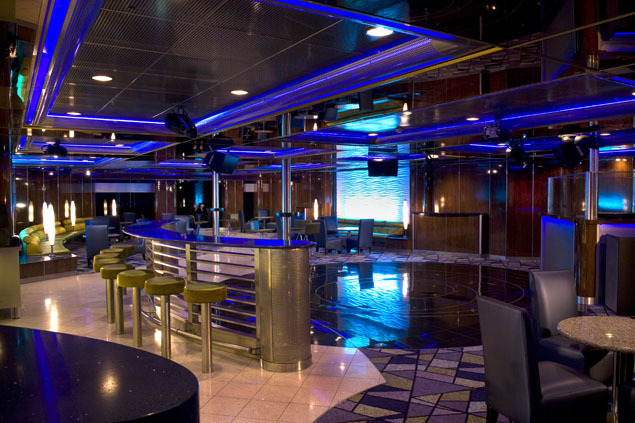 Carnival Sensation is ideal way to go to the Bahamas in style. Resplendent with its new additions, including the WaterWorks water park, private balconies, and the Serenity adults-only retreat (a haven for those who wish to spend some time away from the younger crowd), it offers twice-weekly cruises. Relax by the resort-style pool, take in the palm trees, breathtaking ocean view, and chill out on a lounge chair - or, ride the Twister water slide in the WaterWorks park. The Serenity retreat is equipped with hot tubs, so a relaxing dip allows the stress to slip away. If you crave company, mingle with other guests in the gigantic new atrium, complete with its own bar. Grab your friends (or kids) and go play 9 holes of mini-golf on Sensation Sun Deck. If you like music, check out the Fantasia lounge, with a revolving orchestra pit, turntable, and a recessed speaker system. 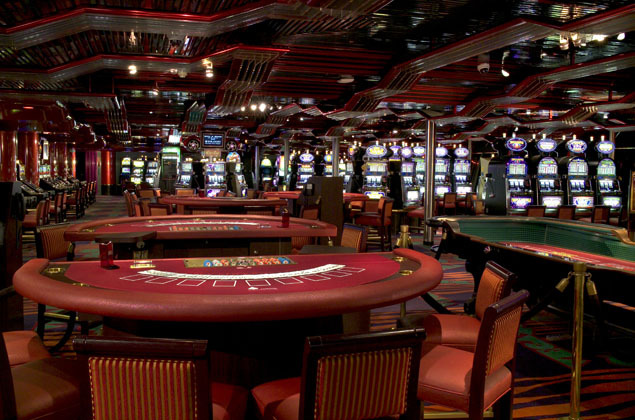 Play a few hands in the Vegas Casino, or dine on some food from one of the restaurants or cafés. When night arrives, find your dance partner and join in the fun at Sensation Disco. Once you tire, return to your plush room and enjoy all the amenities included in each stateroom ... plus, if you bring your family or a large group of friends, Sensation has connecting staterooms - so you can have your space and privacy, but still feel connected to the group. When you are onboard Sensation, you will always have something to do. Relax and just put your feet up by the pool or wander around and discover the infinite fun Carnival Sensation provides. There is so much for everyone in the family that the kids will never be bored, and neither will you. 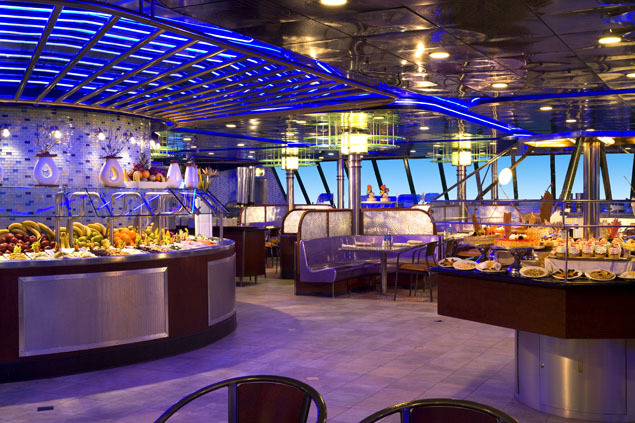 If food is your thing, check out these dining options: The formal dining rooms on Sensation offer an exquisite culinary experience including fresh lobster and a huge variety of wines, as well as great service. Fascination offers the Supper Club, which is a reservations-only, chic Manhattan-restaurant setting. Offering your favorite menu items from the steakhouse, the Supper Club guarantees to please you with every bite. For the more casual diner, there are midnight buffets, a 24-hour pizzeria and even European Cafés so that you can satisfy whatever craving you have. For the youngest members of your family, the kids menu offers all of their favorites including pizza, spaghetti and meatballs, hamburgers, hotdogs, and much more. 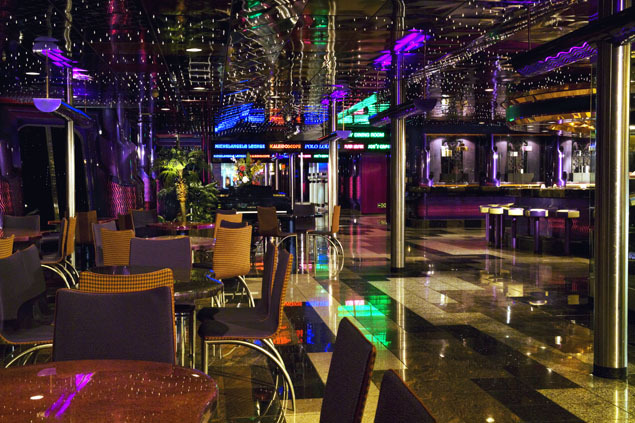 Carnival Sensation has it all - from lounges to a casino and everything between, your night will be even more fun than your day. 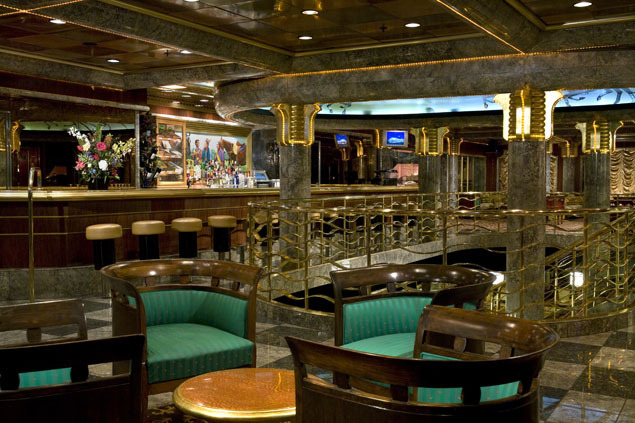 Watch the game, sing along at the piano bar, smoke a cigar, have a drink - you'll find the perfect place onboard to do what your heart desires. 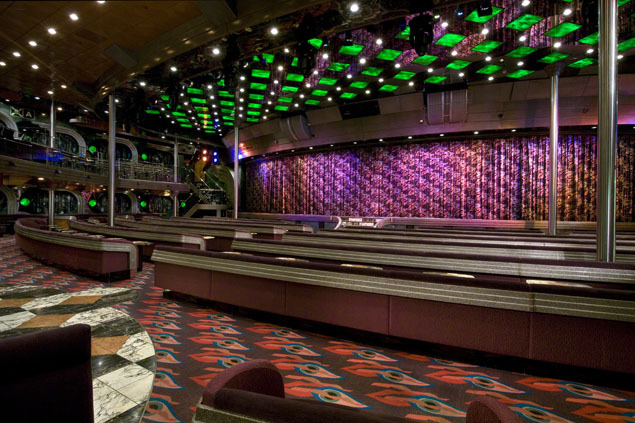 With spectacular stage shows, a variety of singers, bands, musicians and comedians, you will always have something to entertain you before you hit the dance floor at the nightclub.